Versatile and ultra-chic, these sliding panels are designed to be used as a simple yet stylish solution for covering large windows or patio doors, closet openings or to be used as room dividers. Sliding Panels are made from durable materials and offer light filtering properties. The panel length can easily be adjusted at home with a pair of scissors. Pair these sliding panels with the compatible Panel Track Head rail to refresh your room decor today. Cordless Blackout Cellular Shade Shadow White 27-inch x 48-inch (Actual width 26.625-inch) Cellular Shades not only enhance your windows, and room but your wallet too. Energy saving Cellular Shades can save you money on heating and cooling costs by insulating your windows from heat and cold. 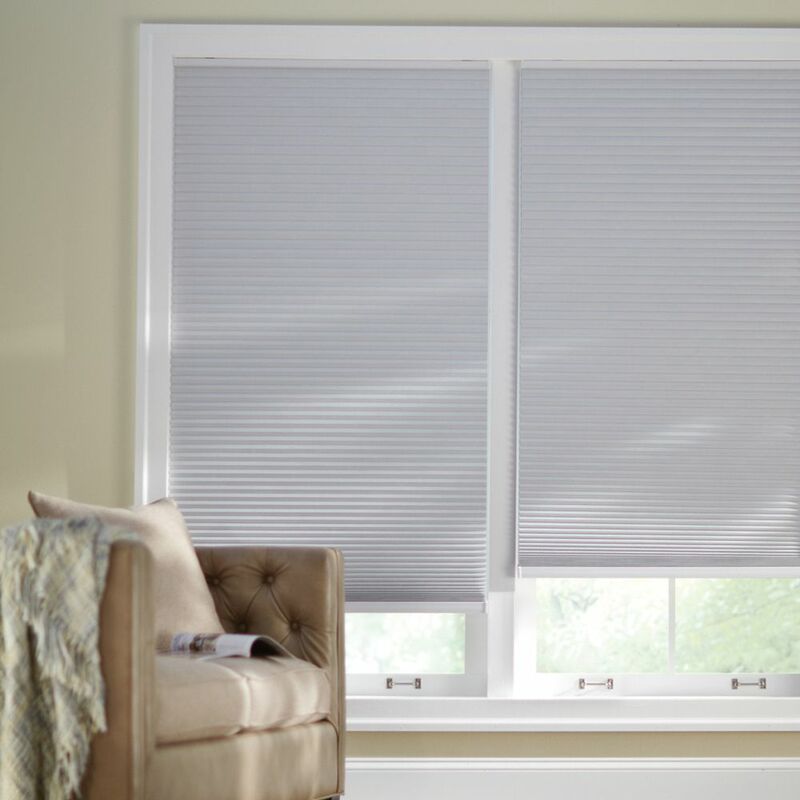 Home Decorators Collection Cordless Blackout Cellular Shade offers optimum privacy and light blocking with maximum insulation. Best of all, this shade has a cordless feature allowing you to operate the shade without any visible cords, making it a child and pet safe environment. The honeycomb cells are made with durable fabric that form crisp, clean pleats to keep your window looking sleek. Cordless Blackout Cellular Shade Shadow White 27-inch x 48-inch (Actual width 26.625-inch) is rated 4.0 out of 5 by 1. Rated 4 out of 5 by SheShe from Great product for the price! I haven’t had these long but so far so good. Easy installation and operation, and blackout is excellent. I didn’t want to spend a fortune on blinds, these are great value. I bought six! Can this shade be cut to width? Is it possible to shorten this blind? &nbsp;My window is 27.5 x 27. &nbsp;How should it be cleaned?